This week I decided to make truffles. I made these because I liked the ganache I used in my bake last week and that is exactly what a truffle is made from. I made two types of truffles, chocolate truffles rolled in coco powder and Oreo truffles made from crushed Oreo’s and cream cheese mixed together, then shaped into a ball and when cooled they are then covered in melted chocolate and left to set. To make a ganache heat double cream until it is hot but not boiling. Then pour the cream over the prepared finely chopped chocolate. Stir up the mixture until it is fully combined then place in the fridge to set. You must make sure it hasn’t set too hard as you need be able to be roll the ganache into balls without it melting in your hands. This can sometimes take up to a day to set. 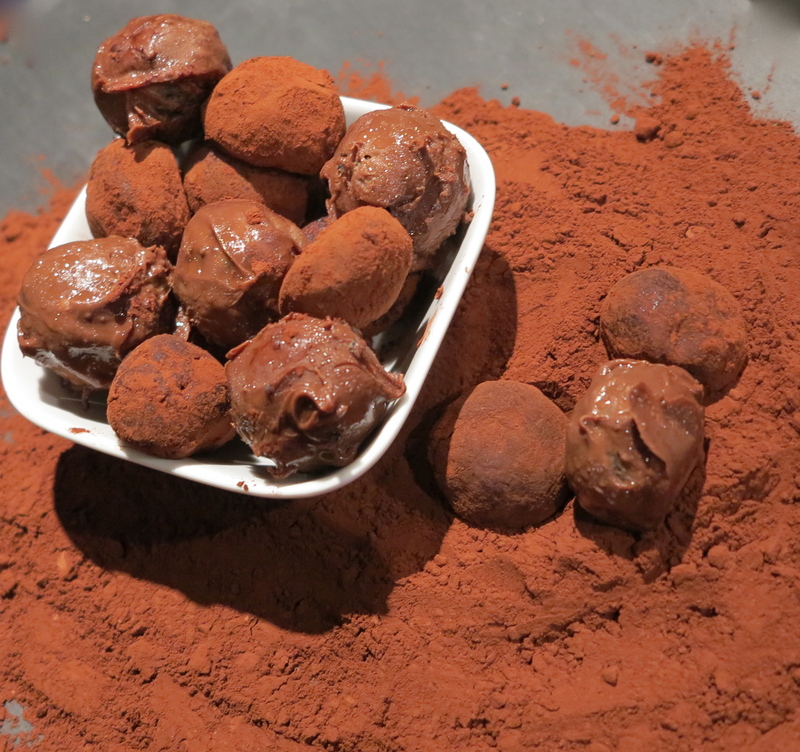 When the ganache is ready roll them into small balls and then cover each ball in coco powder. When you’ve finished keep them in the fridge to store that is if you didn’t eat them all like I nearly did! Butter is sometimes added to the ganache to give it a shiny finish. Next week I’m going to start my twelve bakes of Christmas. As an ex chef I am so impressed by your creativity and your blog. I met your mother today in her lovely shop and I told her that I would love you to be involved in some way in next September’s Abergavenny Food Festival. Well done!